The Golden Rule is ancient yet modern, secular yet religious, personal yet common all at the same time. No matter what language you speak, what religion you follow or where you were born, the Golden Rule applies to everyone across the world. 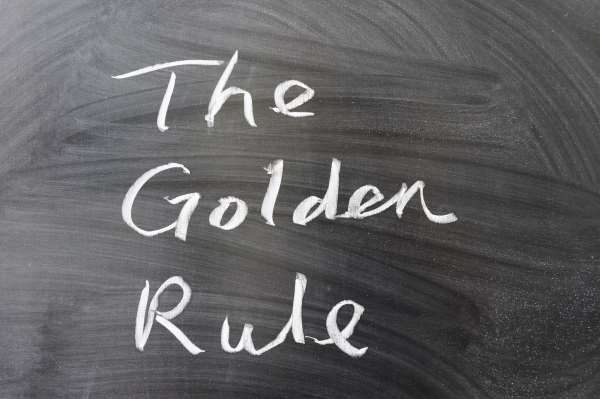 Since 2007, International Golden Rule Day is celebrated across the world on April 5th. It’s an opportunity for every person to think about and celebrate the universal concept of treating others, including animals and the environment as we want to be treated. This kind of reflection is a powerful tool that anyone can use to consider our relationships with ourselves, other humans, animals and the planet and how our actions affect our future. In celebration of International Golden Rule Day this year, there will be a 24-hour Facebook Live! broadcast will travel around the world and feature a variety of different presentations from across the world about how people, organizations and companies are using the Golden Rule as a basis for their decisions and actions. The broadcast will cover 4 themes, including Caring for Self, Caring for Others, Caring for Animals and Caring for the Planet. It is set to begin at noon in New Zealand and travel via Facebook Live! through different time zones in as many countries as possible. You can find additional detailed information on clicking on the website goldenruleday.org and the Facebook event page for Watch Golden Rule Day Broadcast. As a Certified Humane Educator and a bully prevention advocate, the Golden Rule is at the core of what we are working to accomplish…helping young people to understand the Golden Rule and treat other living things and the environment with respect without regard to differences. The Golden Rule is what drives me to confront outdated ideas about how we should be treating people who may look, act or believe differently that we do and to stand up and speak out for those who cannot do it for themselves. The Golden Rule is not an option…it’s the key to our survival.